MailChimp and Constant Contact are two of the most well-known email marketing service providers — you’ve probably heard them mentioned through advertisements or office buzz. Here we’ll give you the lowdown on each service, their differences, their strengths, pricing and more to help you choose. 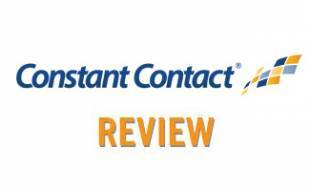 Constant Contact has the edge on customer support, although both services have good online tutorials, FAQs and other resources. Neither service offers 24/7 customer support hours, and Constant Contact doesn’t have weekend hours. The big drawback for MailChimp is its lack of phone support, which Constant Contact offers. Although both offer live chat and email support. Constant Contact has more templates to choose from, but MailChimp’s design features are more customizable and easier to use. MailChimp also gives you greater flexibility with layout options and image and button placements. Both services allow you to use HTML when designing your email templates. When it comes to images, MailChimp gives you unlimited storage space, which is a huge plus. Constant Contact only allows up to 2GB. Constant Contact, however, gives you a gallery of stock images, while MailChimp does not. Both MailChimp and Constant Contact have among the highest deliverability rates, with MailChimp at 96-99% and Constant Contact at 97% deliverability1. Both services also have spam check tools that alert you of any problematic content in your email that could be marked as spam. Constant Contact has limited automation capabilities, with just a handful of autoresponders you can set up. MailChimp is more advanced and gives you the ability to set up triggers for different online behavior, letting you tailor emails based on customers’ activity. MailChimp even gives you autoresponders with its free plan. Both services give you analytics for open, click through and bounce rates and other metrics, and both offer Google Analytics integration. MailChimp’s reporting features are far better, giving you geo-tracking, social media tracking, top locations by opens, top email links that are clicked, and ecommerce conversion analysis. MailChimp has the clear edge over Constant Contact with its free plan, but Constant Contact does offer a 60-day free trial. As you can see, MailChimp is less expensive than Constant Contact no matter what pricing tier you choose. Both services have an impressive array of features, however, MailChimp provides more modern designs and more advanced tools across the board. How Do You Get People To Open Your Emails? A benchmark report by HubSpot found that just over 50% of respondents read most of their emails. With the flood of emails in everyone’s inboxes these days, it’s hard to get noticed. This video by Constant Contact will give you some basic tips on how to get your target audience to open your emails. 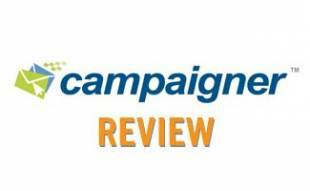 Overall, we prefer MailChimp for its ease of use, free plan, and lower paid plans compared to Constant Contact. MailChimp has more advanced features and integrations, and MailChimp blows Constant Contact out of the water with unlimited image hosting and reporting. If you want phone tech support and more comprehensive customer service, however, Constant Contact is the better choice. A large driver in deciding which email marketing service provider to go with should be your specific business’ marketing needs. Constant Contact and Mail Chimp both have their pluses and minuses, so ultimately it comes down to what you’re looking for. What About Other Email Marketing Providers? 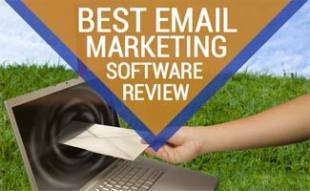 See our comprehensive Email Marketing Provider Reviews to learn more about how these companies stack up against all the major players and to gain a wider perspective on email marketing service providers and practices. Which email marketing service provider is a better fit for your needs?